I still remember how did i get to Segara Anak Lake. 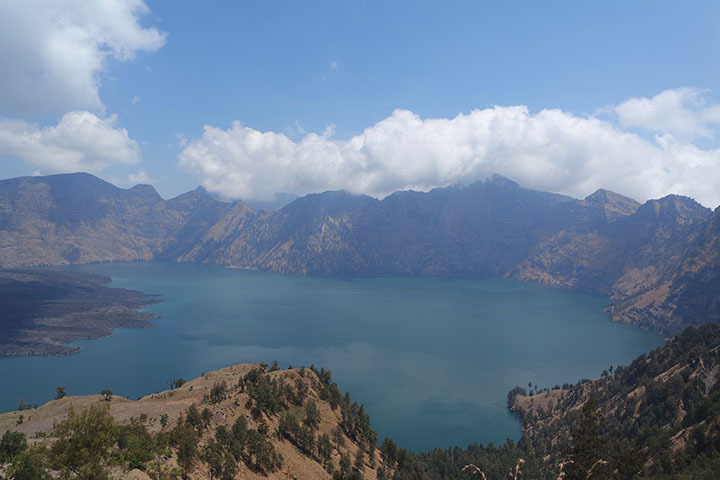 This trek was listed on number 2 most frustrating route i have done of the whole Rinjani journeys. It did not took a long time and less difficult than the summit trek, not really the bad one unless you had to do and finished it on the same day with summit attack. 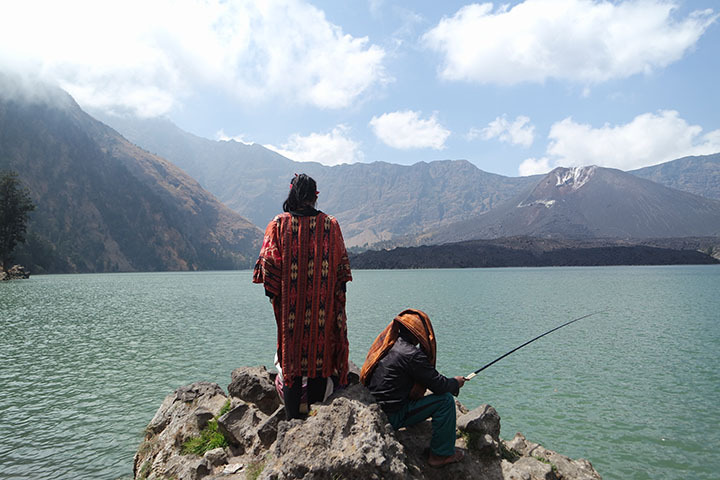 You actually have an option to not going down to the lake, but wait, see these photos below, and tell me how could you resist such these magnificent views ! 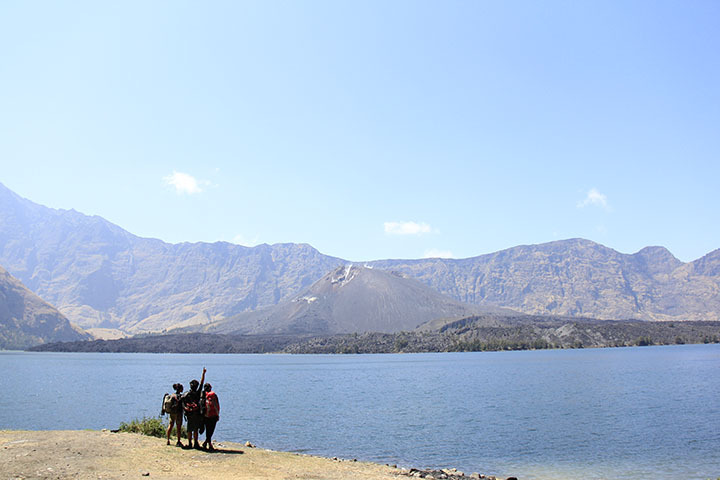 It approximately took about 3 to 4 hours from Plawangan Sembalun to Segara Anak Lake, we started on 3.00 pm but you'd better begin earlier to avoid walking on the night, or if your time could not match the issue, prepare your headlamp is a must. 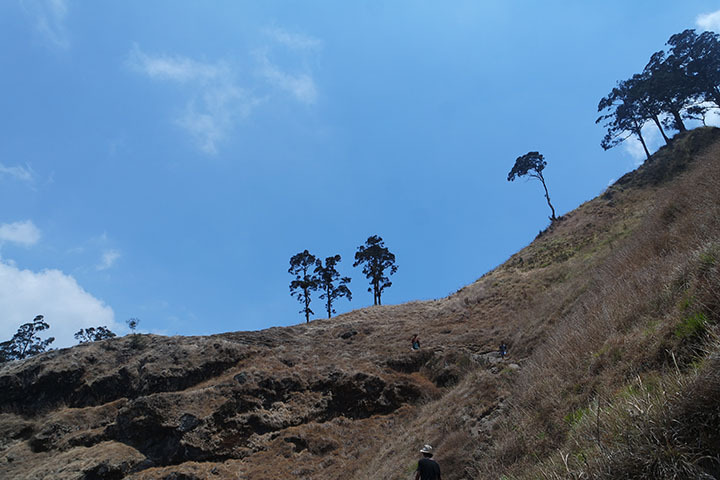 Firstly, i thought the trek would be flat and descent down as the lake is located approx 700 meter below the Plawangan Sembalun, but i was wrong, it's more looked like a hills completed with uphill and downhill. As you can imagine, you would have another steep trek again after the summit attack at the same day. 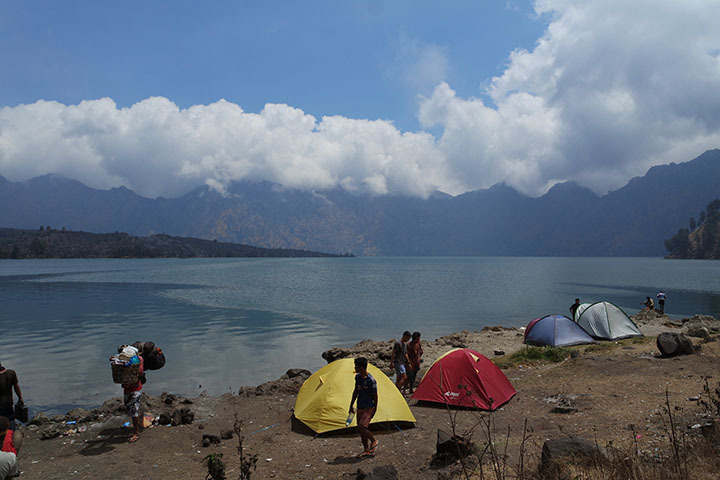 It needed 3 hours to reach the campsite where located exactly in front of Segara Anak Lake. I wondered how beautiful this place would be if the sky was getting brighter. Woke up by the wind breeze and the bird's chirp, then when i unzip the tent, there was a very magnificent landscape paintings which looks real and moving greet me. 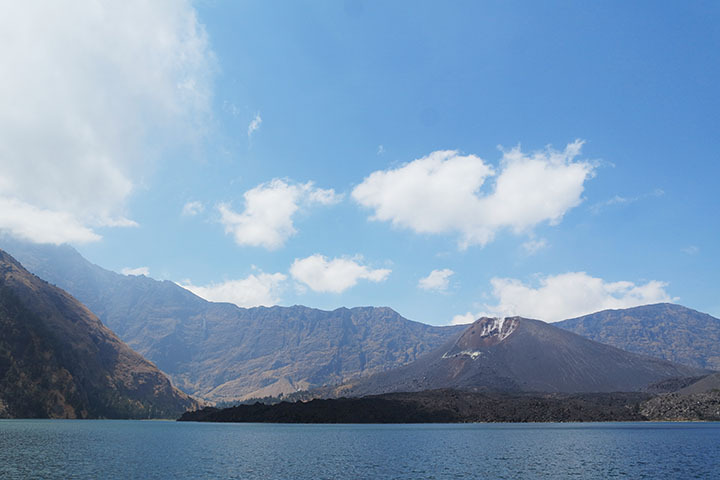 I spent 2 nights in Segara Anak lake. 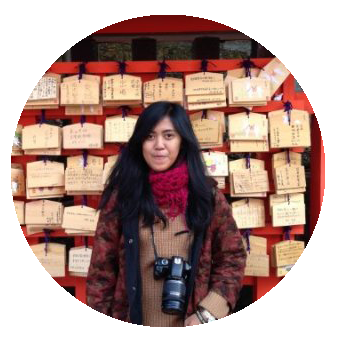 If you are wondering what things we can do in Segara Anak, there are so many ways you can choose to enjoy this lake. 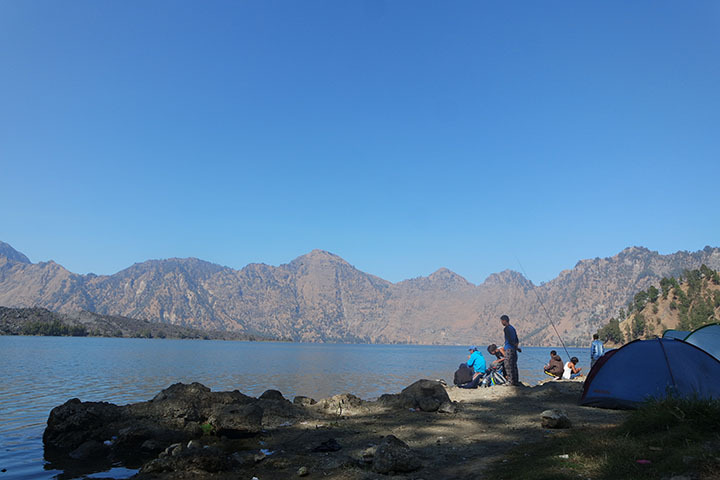 So many local tourists visit Rinjani for only directly go to Segara Anak Lake and do the fishing. As we had a very hard trek embracing the hot weather, sweaty moves and dust, this place is like the belle of the whole adventure journeys we have done. 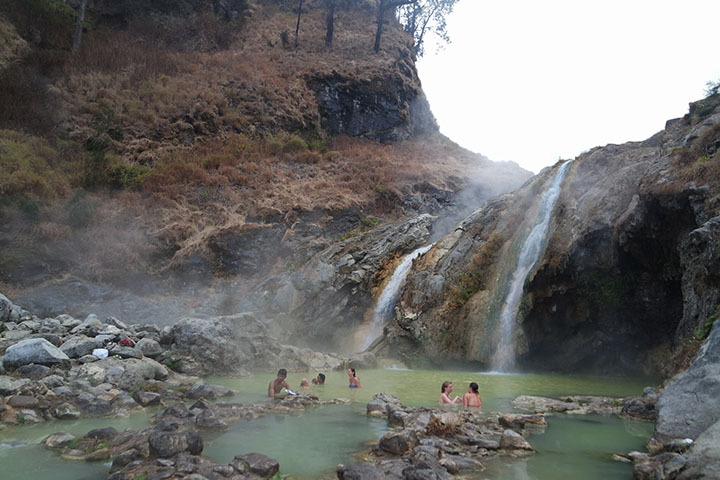 This place is the only spot to clean up you body as we will not find any toilet, rest room, river or water sources. Not really recommend this, because the water looks not clean as it used by all the travelers to wash the dishes. But if you are curious, it's not too bad to try.